Posted on April 30, 2014 by Nida S.
“Don’t disrespect my taste buds with this!”, the eighty-five year old Layla shoved her blue rimmed dinner plate. The mole on the right corner of her lips danced as she grimaced at her customised menu. Layla’s personal cook/maid cooked for her. He previously worked at a prison and never relinquished the chance to squeeze in an anecdote or two. Layla was convinced this food was her son’s revenge for making him eat aubergine and potatoes every Thursday till he turned seventeen. Every morning Layla soaked in the warm star in the sky as she pulled aside the curtains. Every morning her creased eyelids closed while she made a solemn prayer cursing the doctor, nurses, pharmaceutical companies, and the hospital. That memory was a mountain pressing down on her. She wanted to scrub that moment, wipe it, thrash it out like a horrid blood stain on white. Like a trespassing intruder who stole everything, Esophageal Cancer had sealed her fate. As far back as her temporal lobe would take her, her pathan-blooded senses saw and smelled the world of crimson chillies, sunlit turmeric, roasted cumin, crushed coriander and earthly spice concoctions. While little rosy-cheeked girls from the Hunza valley collected wild alpine flowers to stick on homemade dolls with yarn hair. Little rosy-cheeked Layla collected spices and herbs. She discovered her obsession with cooking when she turned ten, almost like a revelation from God. Her mother’s cramped kitchen became her playground where she ran, tumbled and swirled with recipes her conservative household devoured but never understood. A kitchen where many mornings were spent by her family of eight, in anticipation of the fresh aroma of flat bread made in desi ghee (clarified butter), and the eager crackling of fried eggs that her mother cooked. Teenage years were spent listening to mother lecture her sisters and Layla on the virtues of modesty and speaking low. A slipping chador from the sisters’ curly brown heads was the cause of shaking heads. Layla realised early on, if she were to get anywhere in life, she just had to ‘nod and smile’. She nodded, smiled, cursed, spit and bared in the name of her passion. “For what?,” she often said to herself. Her son took over the restaurant she had spent decades creating. Now her story was just about gnawing cells. The day she turned eighty-five, Layla had been in remission for six months. She didn’t want to silently beat her chest that day. She tucked her newborn locks into a flimsy ponytail and promised herself a treat. Months of chemo had left her feeling and looking like a jellyfish. But just the thought of her planned adventure made her cheeks bleed pink. On her way back from the doctor, Layla called her son. “I am all right, I thought we would have dinner tonight, at home. Since this old hag is still alive at eighty five!” Layla asked the driver to take her to her sinful destination. She spotted the mango-yellow carved door of the bistro from far. It was safely tucked within the womb of the two hundred year old Bazar, Anarkali, named after the infamous slave girl buried nearby. The tale of Anarkali and Prince Saleem’s love affair never left Layla’s heart. It didn’t take long for her imagination to kick in as scenes of their morbid story played in her head. Most of it was processed heresy passed down from generations of voracious lovers. But something about Anarkali’s inhuman cries when she was damned behind a brick wall choked Layla. The defeat, the gurgling breath, and the tears that refused to fall from Anarkali’s shocked eyes; Layla could see it all. Her driver parked behind the restaurant, in an alley with maroon paan-stains, dogs lapping up brown water from potholes, and a consistent buzz of onlookers with unashamed gaping eyes. Layla tightened her chador and refused her walking stick , as she limped towards ‘Gul-e-Layla’. For a minute she thought she saw Jamal standing there with his endearing secret-spilling smile. The same smile that dressed his face when his fingers traced on diagonally-lined freckles across nineteen year old Layla’s right cheek. Sometimes Layla’s fingers glided across her face the same way when she peered into the engraved, chipped mirror her mother gave as dowry. Her friend was long gone. But he left behind its and bits of himself all over the place just for her. ‘Gul-e-Layla’ was untouched, like she had left it, almost four decades ago. A beehive of hungry people swarmed in and out. Red paint peeled off like a chrysalis, and brown tables rocked with every bite, as feet moved on the crooked grey floor. Jasmine was placed in small pots in every corner. She walked towards the end of the room, and found an empty table. The bewitching voice of Reshma played in the background. Happy, simple times budded in her head as the crooner sang on. Someone lowered the sound of the radio and Layla was pushed back into reality. She didn’t ask for the menu. A young boy with hair like a bear, jogged over to the table to take her order. The ten-minute wait made her emaciated stomach a breeding ground for hungry Pathan warriors. She savoured every bite, like lovers caressing each other for the last time. 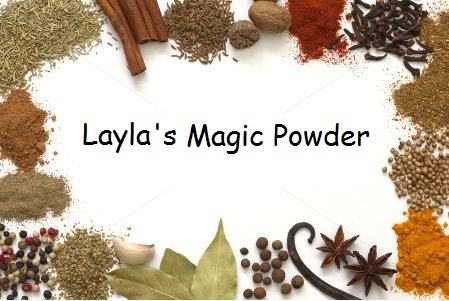 The flavourful chicken karahi, savoury tangy chickpeas curry and roasted buttery naans with sesame seeds, were Layla’s deadly sins. “Stop smiling you old hag! You have to stop, or they’ll know what you’ve been up to!”, she chided herself as she made her way home.Her son would catch on to her quicker than a suspicious wife smelling an unfamiliar scent on her husband’s neck. She changed into fresh clothes and sprayed on her jasmine scent. Later that night, she almost puked her innards out. But first she made sure to turn up the volume. Melody queen Noor Jehan was best heard on a blaring tape recorder. Oh my lover, don’t ask me for the love I once gave you…”. The dinner table was full. The son, the grandchildren, the food, and chatter of the passing day. Boiled pumpkin and lentil broth mocked at Layla from her plate. Today’s ZerotoHero assignment: publish a post based on your own, personalized take on today’s Daily Prompt. Daily Prompt for the day: Rings of fire – Do you love hot and spicy foods or do you avoid them for fear of what tomorrow might bring? So explicitly stated and still there’s suspense. I have a long way in the ‘effective suspense creation’ department. But boy was this fun! That was lovely, NS. Excellent slant on the prompt! She died doing what she loved…….with a smile! Wow.. awesome story. Great take on the prompt. I’m glad you enjoyed it. Didn’t you love Layla :D?